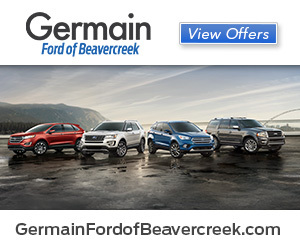 At Germain Ford of Beavercreek, we're dedicated to earning your business again and again. The first time you walk through our doors could be to browse our selection of used cars. Or, perhaps you'll stop by to trade an older model for a brand new Ford vehicle. Our sales staff and our auto financing team have the bar set at the top rung every time, so you can count on finding a loan or lease option that puts the Ford Escape, Fusion, Explorer, Focus or Fiesta of your dreams in your driveway, on your terms. When you're ready to return to our Beavercreek dealership for regular car service and maintenance, we'll be ready to perform whatever work your vehicle requires. And when you're in the market for auto parts, we're ready to assist in whatever D-I-Y projects you have going on under the hood of your car. Finally, after a few years on the road, when you're ready to start the process up again, you'll walk right back through those doors to have a few familiar faces help you out. 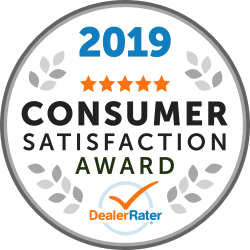 For more information about our full range of services stop into our showroom at 2356 Heller Drive Beavercreek, Ohio and we'd be happy to assist you with all of your automotive needs. Drake went out of his way to make sure my purchase was exactly what I wanted. Best service I've ever received when car shopping! I really appreciate all the staff!! They did a phenomenal job through the whole process! Kirk was very friendly and knowledgeable! Ryan (the finance manager) was very insightful and helped us the whole way through! Also a big thanks to Billy and everyone in management for the great deal!! "Buy from Mark Lee at Germain Ford"
From the time I scheduled a test drive through signing on the dotted line in addition to service after my purchase Mark Lee has been excellent! I requested a test drive of a Ford Fusion Hybrid online 20 minutes before I arrived at Beavercreek Ford and Mark had it warming up at the front door by the time I got there. When I went to purchase the car the dealership had the VIN number swapped with another Fusion but Mark was able to resolve the issue very quickly and professionally in addition to contacting me even when he was off of work on a Friday night. When I came back Saturday morning to sign the paperwork Mark had everything corrected, the car detailed, filled up and ready to go for me. If you need a car go see Mark Lee at Germain Ford! Regards, George V.